Showing 71–80 of 254 items. WEATHERPROOF PAPER: 200 sheets of tan 20# Copy Paper per pack. This paper that won't turn to mush when wet and will repel water, sweat, grease, mud, and even survive the accidental laundry mishap and more. 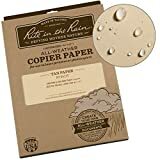 COPY / LASER PRINT: Print your own forms, charges, maps, worksheets, and other important documents on Rite in the Rain Copy Paper. Unlink other synthetics, Rite in the Rain won't wash or rub off in harsh conditions. NOT FOR INKJET PRINTERS. PRINTING: Unlike synthetics, Rite in the Rain won't collect a static charge while printing and duplexing and there is no risk of melting in your machine. 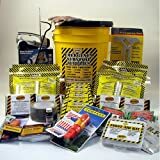 Kit Contains: 1 - Honey Bucket w/Lid. 4 - 2400 Calorie Food Bars. 4 - Solar Blankets. 24 - Pouches of Waters. 4 - Dust Masks. 4 - Ponchos. 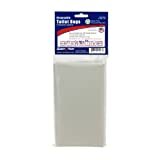 1 - 12 Pack of Liners. 6 - Wet Naps. 1 - 12 Hour Light Stick. 1 - T-5 Chemical Toilet Disinfectant. 1 - Roll 10 yards Duct Tape. Kit Contains: 1 - Gas and Water Shut Off Tool. 1 - 15" Pry Bar. 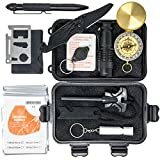 1 - 54 Piece First Aid Kit. 1 - Dynamo flashlight/Radio. 1 - Pair Leather Palm Gloves. 1 - Utility Knife. 1 - 5 N 1 Whistle. 50 - Water Purification Tablets. 50 - Waterproof Matches. 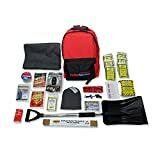 ✔ 100% RISK FREE PURCHASE; We stand by our customers & our survival gear kits and guarantee that we will do everything we can for happy customers. Easy returns & replacements if anything goes wrong. Helps prevent the spread of odor and viruses when plumbing facilities are out of service after major emergencies. 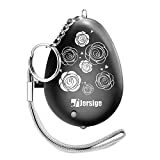 IDEAL ACCESSORY:Ideal Accessory for Festivals, Camping, Sporting Events, Walking, Hiking, ect.